Get Ready!!! 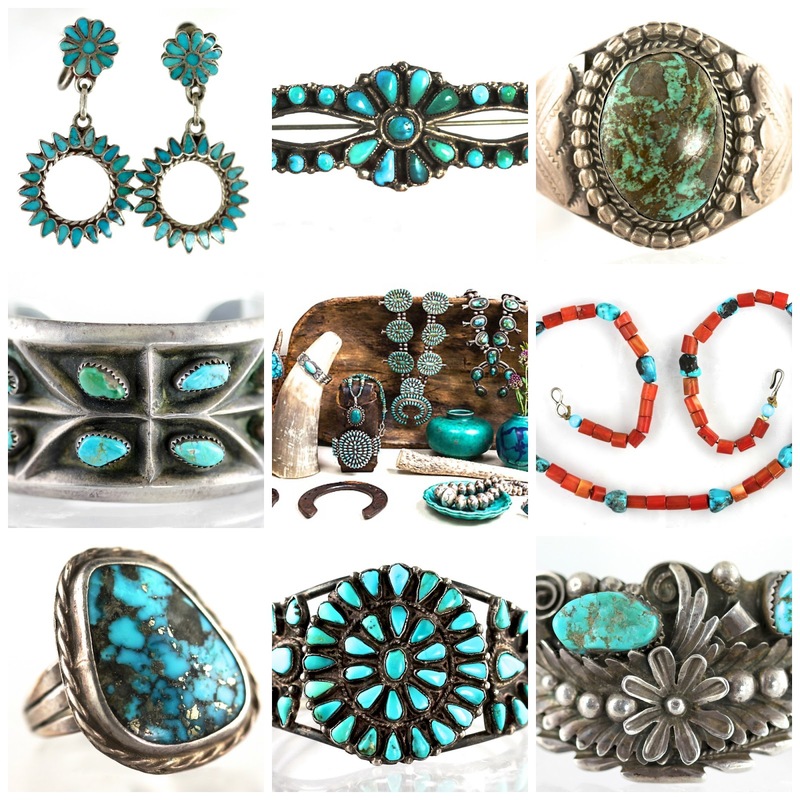 One Kings Lane will host a HUGE Southwestern jewelry sale, this Tuesday Evening at 6:00 PM Pacific Time-That's March 10, 2015. We have all been traveling and collecting all winter for this sale. I have over 250 fresh Vintage Navajo, Zuni and Hopi Indian as well as Vintage Mexican finds scheduled for this event. I even added several pieces from my personal collection. Here's a sneak peek of some of the loot that has never been offered before. Be on line and ready to buy as soon as it opens because buying gets fast and furious and there is nothing more maddening than having something you want "on hold" in another buyer's cart. Don't be late, or you could miss out. Here's a secret: if you see something that you really want that is on hold, pull up a separate screen on your computer with that item and keep refreshing. Most buyers can only hold an item for 10 minutes, so keep an eye on it and as soon as it drops out of their cart, grab it before they can get it again, or before someone else does. You can visit my store here, but you won't see these items there until 6:00 PM, Tuesday Evening. As soon as I have a link to the event, I will post it here too. Good luck and see you there. I will be packing and shipping all day long to get your purchases to you FAST!